The Lumina is a top of the range medical system that combines Intense Pulse Light and Long pulse Nd:YAG laser technology to provide a wide variety of treatments. IPL can provide a long term solution to the following conditions, with minimal downtime or risk, in just a few quick and easy treatments. Superficial and deep vascular treatments. Plus ongoing clinical work to develop new treatments for other ailments such as vitiligo, psoriasis and eczema. For IPL treatment a thin layer of chilled gel is applied to the skin to aid light absorption by the vessel. The light applicator is then placed on the skin and a short pulse of light is released. The applicator is then moved to the next area and the process is repeated. The chilled gel is then removed and the area cooled. During treatment, protective eye-wear will be provided. Prior to any treatment, you will have a full consultation. The consultation identifies your expectations and provides a complete explanation of the treatment. A medical history is taken to confirm suitability for treatment and if you wish to proceed a written consent is obtained. A patch test is performed to confirm there are no adverse skin reactions to the light. We offer IPL hair removal from our Canford Cliffs clinic. The procedures involved in IPL hair removal involves intense pulsed light systems which release precisely controlled strong pulses of filtered light that are absorbed by melanin, the pigment in hair. This heats up the hair and destroys the calls responsible for hair growth, to achieve long term hair reduction. Intense pulsed light systems release precisely controlled strong pulses of filtered light that are absorbed by the melanin in freckles, sun spots or liver spots. The pigmented area absorbs the light and is heated, and is removed by skin renewal. Following treatment, the pigmented area gradually flake away from the skin leaving little trace of the original mark. 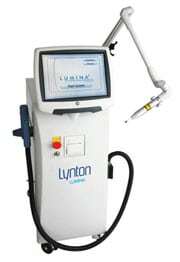 The IPL system releases yellow and red light that is emitted in a series of short pulses. The yellow/green destroys the bacteria that live in the skin and cause acne, while red light directly targets the overactive sebaceous glands that cause outbreaks of pustules. This targeted heating deep in the skin causes shrinkage of the inflamed sebaceous glands and helps to prevent over production of excess sebum. The light energy is absorbed by the skin and heats it up, creating a sharp, short-lived pinprick sensation. No anaesthesia is required, other than cooling the skin. Most patients describe the discomfort as moderate and acceptable. Redness and a slight warming sensation are normal after treatment. A cooling pack is applied to ease the symptoms. The treated area, as mentioned can become quite red immediately after treatment, but this will disappear within an hour or so. 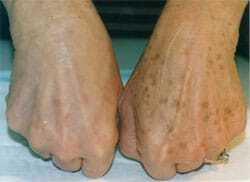 Very rarely the skin may become lighter or darker or a small blister may form. Depending on the treatment you require, the amount sessions will be determined by the doctor to ensure you get the best results. Anything from 2 to 6 sessions are generally recommended.